Home » Posts » Does the Physical Location of a Business Matter? Does the Physical Location of a Business Matter? Choosing a suitable location truly has the power to make or break the success of your business. There are a multitude of factors that need to be taken into consideration any time you decide to relocate or think about renting office space. Accommodating and prioritizing the needs of your employees and customers equally is a must; the problem is that those needs don’t necessarily coincide with one another and in some cases that discrepancy could end up pulling you in different directions. This can feel a lot like trying to navigate through murky waters without a paddle. Even certain services you use on a regular basis like mail and package delivery or IT personnel need to be able to gain easy access to your new office. To simplify the decision-making process for you, try to focus on the most important aspects that you know will positively influence your business operations. What Factors Impact the Location of a Business? Whether or not you’re willing to admit it, the location of your office speaks volumes about the type of business you’re running and how successful it is. While it’s no longer necessary to have a flashy office space to attract more clients and top-tier talent in your industry thanks in large part to increased online marketability, it’s still important to try to accommodate your employees and clients as much as possible. Further examination of the abovementioned office space rental qualities is warranted in this regard. Perhaps you’re the type of business owner who likes to treat their employees and clients to lunch. Or what if your employees want to step out for a quick workout during their lunch breaks? If this is the case, it helps to be in close proximity to useful amenities like restaurants and gyms. Free community parking, access to public transportation, and having shopping malls or complexes within close walking distance is also a huge bonus. That way, your employees have the freedom and ability to run errands, grab lunch at different restaurants, or sneak in some exercise during the workday (on their breaks of course) if that’s what they want to do. There’s no shortage of activities that you, your employees, and your clients can engage in when your office is centrally located. Plus, it usually also makes it a lot easier for your customers to find your business. Never underestimate the importance of convenience when offering a service or product that’s in high demand. Industry-wide competitions to see which companies are the fastest, smartest, and most attuned to the needs of their customer-base shouldn’t leave you in the dust and part of that includes being located in a convenient area. In fact, one of the main components extremely talented prospects look for when considering working for a new company is location. They want to make sure that they can easily commute to and from work every day with as few delays as possible. Working in a bustling city that’s ripe with public transportation and ride share options is an ideal solution to this problem for a lot of today’s young talent. 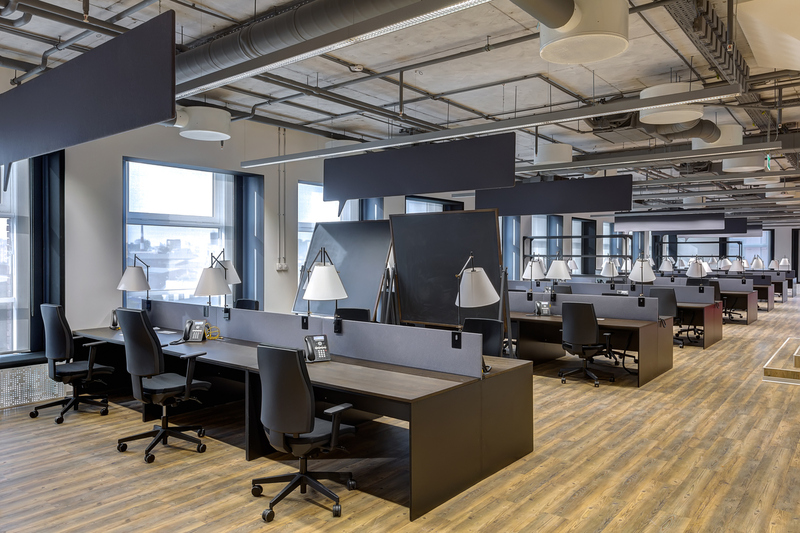 Relocating or renting an office space can be expensive enough as it is without tacking on the added expense of having to purchase furniture and equipment for professional use. Renting a fully furnished office space projects the professional image you want to demonstrate to your employees and clients without having to needlessly spend extra money. You and your employees will have everything you need at your disposal from high-tech printers, projection systems, computers, and peripheral devices to telephones to help you operate your business as efficiently as possible. Another pivotal aspect that you should think about when deciding on a location to rent office space from is the condition of the building itself. If the building looks like it’s dilapidated or in need of a lot of repairs, then it’s probably best to just forget about it and move on to the next one. Oftentimes, what ends up happening in situations like this is that the building is very old and hasn’t been properly maintained, which means that the landlord might reserve the right to increase the rent or make you pay for the repairs yourself. To avoid an unsavoury situation like that and save yourself a great deal of money, choose an office space that’s visibly in good shape and doesn’t need much maintenance. If you’re going to ask your employees to move to a new location, it’s prudent to ascertain that it at least meets their standards of living or improves their quality of life in some way. The community culture of your new location should, to some extent, contribute to the livability factor of the new neighbourhood. After all, it also reflects the core values and internal culture of your company. The importance of the local demographic depends largely on where your potential clients are located and how easily accessible your business is to them. You want to be close to where your clients are, so you should conduct relevant market research to identify your target audience and find out where they live. The closer you are to your target audience and potential clients, the more easily and conveniently they can find you and this also increases the likelihood that they’ll choose your business over your competitors. When it comes to choosing an office space rental company, Innovative Professional Offices in Mississauga and Ottawa offers all of these keystone features in spades. Not only are our rental office spaces located in central areas, but they’re also steps away from public transits, major airports, and highways. Book a guided tour of our stylish, clean, and professional office spaces today to see how we can help you enhance your business operations.